After nearly three years together as a band, Boulder’s The Velveteers have finally released their long-awaited debut. The band, which formed in 2015, the brainchild of then seventeen-year-old Demi Demitro and her brother drummer John, weren’t in a hurry to release their first album. In fact, in 2016, without a note of recorded music to their name, the band set off on their first tour and throughout 2017 the pair stayed on the road playing music festivals and opening for well-known acts. But 2018 sees the dark, moody, fuzzed-out rockers getting down to business in their most official capacity to date. The self-titled, six-song EP is one of the most powerful female-fronted releases since the famed supergroup The Dead Weather released their seminal album Horehound. 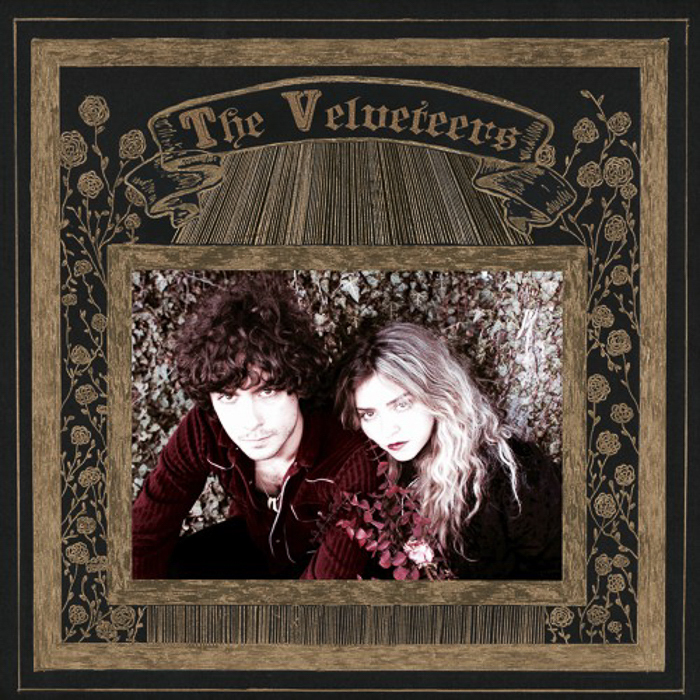 Like that Allison Mosshart/Jack White lead project, The Velveteers put forth an edgy, angsty, gritty rock and roll album that screeches from fuzzed-out garage rock roots to a sluggish nostalgia of swampy, blues-riff laden darkness, all of which serves as the platform for Demi’s haunting vocals. The band claims that many of the songs on the album were inspired by Demi’s love for Brothers’ Grimm fairytales and that she wrote the album underneath the summer moonlight in a cemetery. Whether or not that’s true, a palpable witchiness pours forth from the EPs six tracks, as Demitro’s breathy, sultry, but powerful vocals hold center stage over the primal, explosive rock and roll. The group spent the better part of three years putting the debut together and that patience pays off in an album that was immediately recognized as one of the earliest contenders for the Best of ’18 list.